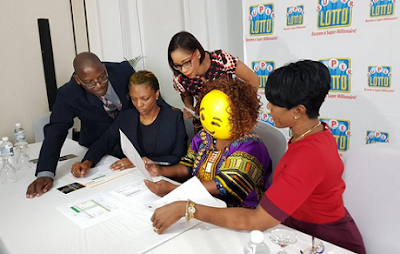 A woman who won 180 million Jamaican dollars wore a winking emoji mask when she claimed her prize. The woman identified as N.Gray wore the emoji mask in response to violent crime in Jamaica. She won the $180,900,000 prize from the Supreme Ventures Super Lotto draw and plans to fix her debt with the money. “I started buying Super Lotto in January… Now I’ve won, I want to clear my debt, invest, and I want to do some travelling. 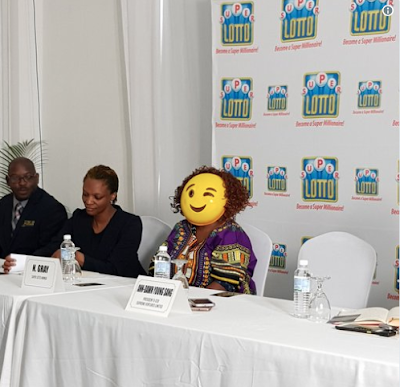 Assistant Vice President Simone Clarke-Cooper explained to the Jamaican Star that previous lottery winners wore disguises to protect their identities. She added that the disguises have become more creative over the years. In addition, N.Gray wants to give back to the community by building youth centers that focus on technology.